After 3 days in the house under several feet of snow, I finally made it to the office today. That meant I was able to get over to CrossFit Boston for a much needed workout. I went heavy on squats on Saturday, so I did not go crazy today. I worked up from 135#, to 225#, 255#, and finished at 275# for 3 reps. This WOD was pretty much in my wheelhouse. I finished 5 rounds + 3 reps. The Rx WOD was handstand pushups instead of the strict press. I tried a few - and even pushed out several, but I knew my shoulder was not ready for rounds and reps of those. 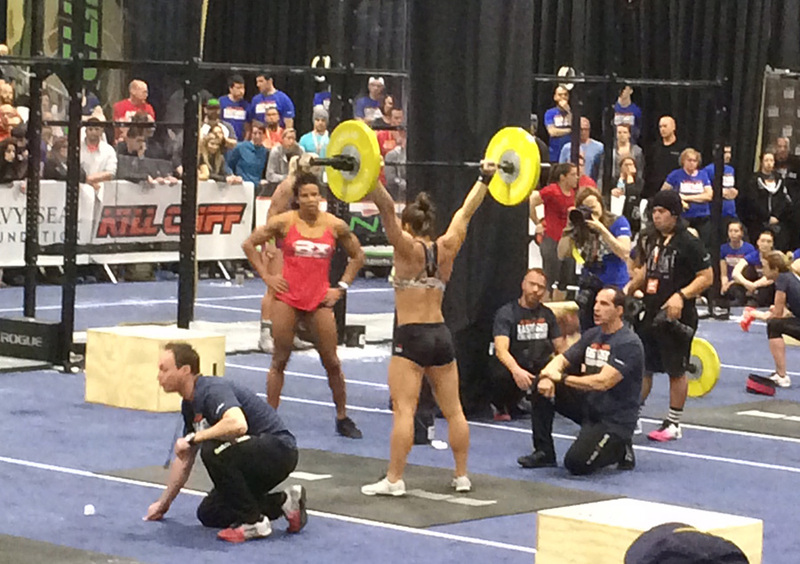 A little inspiration: Stacie Tovar at ECC working on snatches with the Dream Team.